Is your Real Estate Site Homepage Really Serving your Customers? If you really want to learn SEO, skip search and social. If you allow me, I want to define Internet Marketing in a way that we can understand in practical day-to-day terms, not just a bunch of words that sound good put together in Wikipedia. 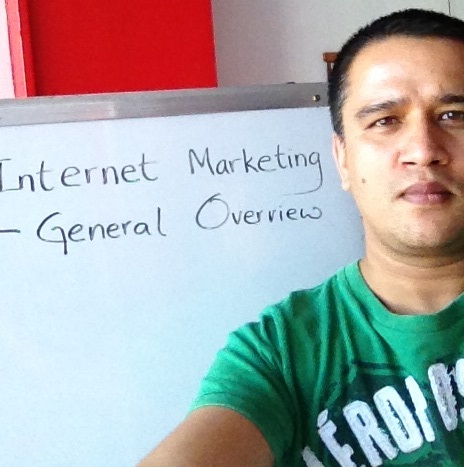 Let me define Internet Marketing the way I understand it from the trenches of having done this for almost a decade. Internet marketing is not marketing using the internet. Just because you spend hours in front of the computer and marketing in websites, doesn`t mean you are doing internet marketing. Internet marketing to me, is a revolution, a philosophy, the radical parameter which determines if you are going to win or lose – it is that channel that allows every individual to be 100% creative and can say “NO!” to the norms and do things their way. It is a way of “Staying Hungry” and “Being Foolish”. It is beyond just science and data, it is an art by itself. It is about making the right choices, mixing ideas (borrowing ideas) if needed and making them come to life. Internet Marketing has nothing to do with Google, Facebook and Websites. Internet marketing is your own re-invention, your own definition of how you want things to work for you. You may not need to be in Google, Facebook and YouTube at all, you may simply do email marketing with just a domain, a landing page, database and an email address. Yes, it`s true. That is how simple it can be. It all depends upon the needs of the individual. If your niche prefers email marketing or responds better to email marketing, it is preferable to hone that actual process to perfection. Google, Facebook, YouTube and your website design are tools that can help you, but to do real Internet Marketing, you need to have the “heart” and to simply have “smart”ideas. Recently in YouTube, I watched Gary Vaynerchuk and he had something very powerful to say. The though-pattern of “1>0” actually mirrors what are the real benefits of Internet Marketing. This thought implies being “Niche-oriented” i.e. “…going Deep and not wide..”. It implies having an actual relationship with your audience on the subject involved. In Internet marketing, you do not just communicate with your customers, you make a stand for yourself in front of peers, colleagues and other interested parties as well. You need to be heard, you may not even reach a thousand, a hundred or even a dozen people, as long as your content viewer is more than “0 (zero)”, you are doing something good. Internet marketing is “Idea” marketing. Content helps you get ideas through and that`s all it is good for. No matter how good your content may be, if you are not able to actually get your rich ideas across to your audience, it will fail. Content is very theoretical, getting the content to work for you, is being brilliant. Internet marketing is about being practical. Your “idea” needs to shine forth, they need to rise above the rest even if you are on a one-on-one conversation on the telephone with just one person. Whether you like it or not, the next big marketing is “you”, the current marketing is “you”. The internet is just a playground to test yourself and your ideas. Marketing even in the next millennium will be about “You” and how you use your instincts. It is about doing things your way, if you are listening to a “IM Guru “or following blogs on SEO tips etc.. you are a “follower of ideas”, which is fine, but is that where it ends?. To make a stand in Internet Marketing, you will need to come up with your own ideas and hypothesis. Why I cannot endorse being too technical in Internet Marketing is that platforms and rules change in Internet Marketing, if you are highly technical and analytical and that is your only forte, originality goes out the window. But if you use Internet Marketing as an art, an expression where the “soul” conquers the “mind” then, no matter how much shifts there may be in the future, your art and ideas will never be lost or “outdated”. That is what is perfect about approaching Internet Marketing in this respect, art can never be “outdated”. Science always changes, data can sometimes make you chase your own tail but originality will never let you down because no one can copy the “soul” of another. I know my thoughts on the subject will come off as “odd” or even a “shock” to some, especially to those who spend hours calculating data and reading them each and every single day. Am I against data, analysis and science? — Absolutely not! Science and Data to me are tools, just like Google and Facebook. I use them when needed but I also listen to my instincts. I do internet marketing by not being blinded or one-sided to data. I believe there is much more out there to benefit from, when we know when to listen and when to shut off unnecessary information and to apply bare gut instincts. If not, we may as well have computers and robots rule this world for us and we can all take that “much needed” break and sip on Piña coladas in the Bahamas for the rest of our lives! I believe in the power of digital marketing. Actually, I believe in it too much that I've been in the business since 2005 but still finding new things everyday. Currently, I continue to conquer the journey by being the CEO of Redkite Internet Marketing and Web Designs, a digital marketing company in the Philippines.